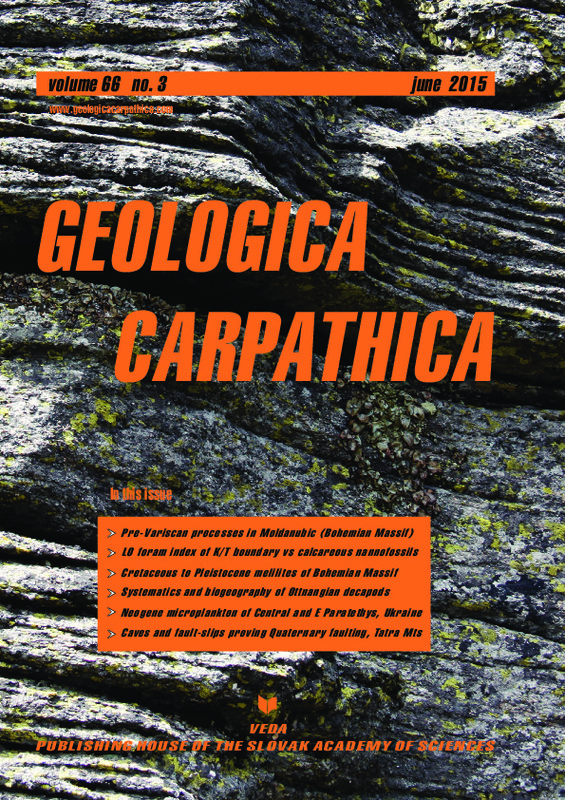 Abstract: In an effort to contribute to the discussion concerning the age of rocks of the Moldanubian Variegated Group, we have undertaken Re-Os dating of molybdenite of banded carbonatite-like marbles (CLM) from the graphite mine Václav at Bližná (Southern Bohemia), which belong to the metamorphic sequence of this group. The Re-Os model ages for the molybdenites range between 493 and 497 Ma and apparently correspond to the early stages of metamorphism connected with pre-Variscan rift-related tectono-metamorphic events, which affected and recrystallized sedimentary CLM material rich in Mo-Th-Nb-REE. The molybdenite bearing carbonatite like marbles situated in the footwall of Bližná graphite mine have been interpreted as carbonates with a large share of volcano-detritic material derived from contemporaneous primitive alkaline (carbonatite-like) volcanism deposited in a shallow marine lagoonal environment. There is no geological evidence for the participation of fluids mobilized from host rocks in the formation of the CLM. Because the Re-Os chronometer in molybdenite is demonstrably stable through later Variscan facies metamorphism, the molybdenite chronometer has not been affected by subsequent thermal overprints associated with the Variscan orogeny.